Gotta love Jingle Ball... 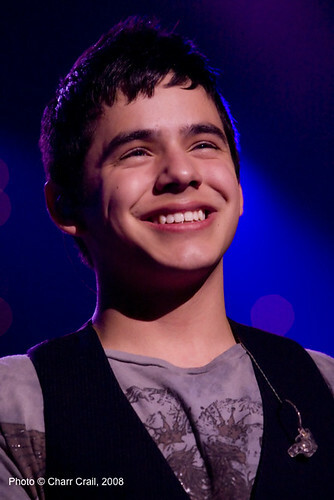 It arrives every year at Arco Arena with a group of acts so fun and fresh, almost always the perfect up and comers too, though David Archuleta of American Idol fame is hardly unknown. Katy Perry, wearing an adorable holiday Santa outfit, charmed everyone, especially when she say her hit "I kissed a girl". Great song! Perry is just adorable with her flirty, playful and girlish ways. I loved the holiday schtick. It was quite fitting for the night. To view a gallery of images go to eMusiConnect. Her band was also decked out in elf costumes and they were equally cute and goofy looking. One photographer in the pit leans over to me and says "You couldn't pay me enough!" Boys Like Girls and Shontelle were on the bill too, solid, energetic on their short sets. 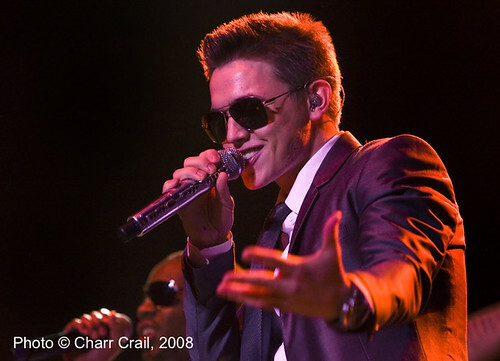 The headliner was his hotness Jesse McCartney who started out as an actor and in a dramatic departure began this singing/songwriting career. He's got a pretty sophisticated act, singing, dancing, and in the spirit of the holidays a bit of prancing, which took the level of piercing teen shrieks and screaming to a whole new head-tilting place! No matter how much of it I see I remain forever mesmerized by the beautiful glistening sight of glass art, and artist Dale Chihuly is one of my faves. This slide show of images was captured while viewing the permanent Chihuly collection at Oklahoma City Museum of Art where I visited recently. Love and appreciation goes out to the wonderful composer Chris Goslow who wrote and performed the music, Winter Glass, for this show.